The second floor, which holds the "Ottoman Studies Section" and Şevket Rado Manuscript Library does not only constitute a rich library of Ottoman research but also includes a rich collection of nearly a thousand manuscripts, accumulated by Şevket Rado himself. The Şevket Rado manuscripts have been transferred to a digital platform in order to provide easier access to researchers and to prevent damage. 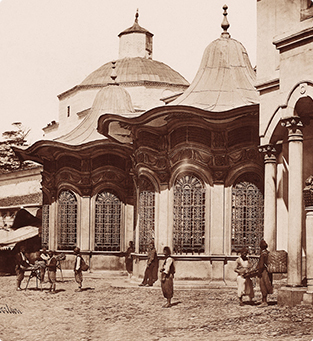 Moreover, presenting an İstanbul of the past, 4500 photographs, captured by renowned photographers of the 19th century, as well as numerous engravings and maps are preserved in these archives. The collection is being steadfastly expanded.